Ahead of the Super Bowl's kickoff, Paramount Pictures got the trailer party started with a double whammy that included a brand new look at their latest dinosaur-centric epic, Jurassic World: Fallen Kingdom. The sequel to the first Jurassic World, and the fifth film in the Jurassic Park franchise, showed more dino-chomping action that's sure to get today's youth buying up all of the dinosaur toys. The latest film in the franchise sees Claire Dearing (Bryce Dallas Howard) seemingly having a sort of crisis of consciousness after the events of the first film. With a volcano erupting on Isla Nublar, all of the dinosaurs native to the island are subject to reliving the extinction event that killed their ancestors off billions of years ago. She wants to save them, but she needs Owen's help. Owen Grady (Chris Pratt) doesn't seem to be doing so well himself, having been separated from the raptors that he raised since they were born. Though some perished after the events of Jurassic World, Claire appeals to him by requesting his help to save Blue. 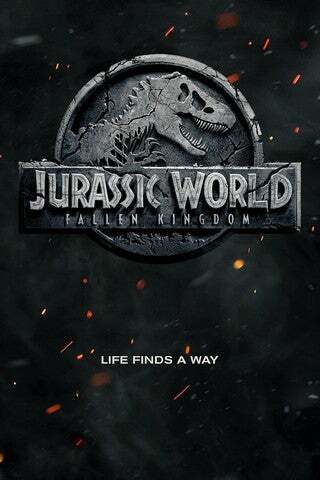 Jurassic World: Fallen Kingdom seems to follow in line with previous films in the franchise in putting some of the main characters in all new situations. The kids from the first film, who were Claire's nephews, aren't on the cast list but could make an appearance. Jeff Goldblum returns to the franchise for a short scene, in which he appears to be testifying in congress and repeating his now-famous mantra about life finding ways. Goldblum reprises his role as Dr. Ian Malcom, who had a significant part in the first Jurassic Park and was the main protagonist in the sequel, The Lost World: Jurassic Park. The director of the first film Colin Trevorrow stepped back to co-write with Derek Connolly on this movie, and he's also producing. The movie is being helmed by J. A. Bayona, who previously handled the mid-budget fantasy film A Monster Calls. The first Jurassic World film is the highest grossing movie from Universal Pictures and currently sits at fourth place on the all-time list for box office grosses. Needless to say, it's a very, VERY successful movie. With Chris Pratt and Bryce Dallas Howard reprising their roles, along with franchise star Jeff Goldblum returning to the fray, the second Jurassic World film has every chance of being the box office smash Universal execs are expecting it to be. Jurassic World: Fallen Kingdom premieres in theaters on June 7th.